When your fabric, leather or vine dining chairs, sofas or ottomans have sentimental or dollar value. Repair dining chairs, sofas, replacement of cushion inserts (foam, fabric, fibre, feather). Restoration of antique furniture. Make it shine againg in your dining room or bedroom. Michael Berkovitch Furniture Upholstery has been servicing Melbourne and Victorian clients since 1985. We are recognised as experts in upholstery and repairs of furniture by Moran, Parkers and other well known manufacturers. Berkovitch Furniture offers services to residential and commercial customers. Our list of clients include Windsor and Savoy Hotels in Melbourne who we provided with refurbishment of their furniture. With over 40 years experience we are committed to providing our residential and commercial customers with quality upholstery, furniture repair work, antiques restoration and recovery. We are known and respected as one of Melbourne's most trusted upholsterers. So whether you want to restore a much-loved heirloom or make a statement with a one-off modern design, leave it in our experienced hands. No job too big or small, we value all our customers and provide a personalised service across metropolitan Melbourne and Victoria. They say it can be cheaper to buy new furniture. Beware of cheap new stuff - you will get what you pay for! 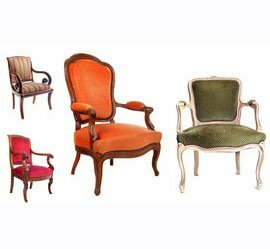 Furniture re-upholstery can cost as much as moderately priced new furniture. When comparing make sure they are of similar quality and that the fabric is of a comparable quality. 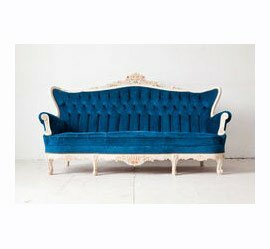 It is doubtful that you will find a new piece of similar quality to your old piece and if you do, the cost would be far greater than re-upholstering. It is cheap because the fabric and the construction is cheap. Within a very short time you may well regret buying this cheap furniture. In many cases restoration of furniture may be a better choice. 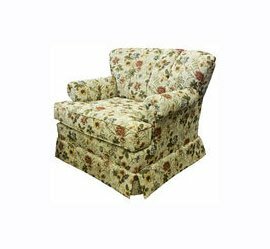 Breathe new life into your antique furniture with our efficient upholstery service in Melbourne. From high-quality furniture to contemporary designer style, contact Michael Berkovitch Furniture Upholstery for all your upholstery needs. We provide the best upholstery services in Melbourne. If you are ready to give your lounge suite, chairs or other loved furniture a dazzling look, then Michael Berkovitch Furniture Upholstery is here to help. Whether it’s old-fashioned furniture, office furniture or a retro piece, we’ll guarantee that the final product is perfect and according to your choice. Choose from our premium quality reupholstery services to give a classic look to your furniture. At Michael Berkovitch Furniture Upholstery, your favourite piece of furniture is in safe hands. We work hard to establish a healthy relationship with our customers and to provide 100% work satisfaction. With our years of experience, we promise to make your damaged furniture look brand new again. 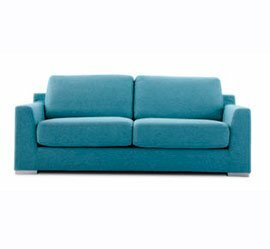 If you need residential or commercial upholstery service or furniture reupholstery in Melbourne, trust our expert upholsterers to do the best job. Contact us today at 03 9555 1415 and get an obligation free quote. All measures are taken to make your re-upholsted furniture last much longer. Trust experts with over 40 years of experience. We offer a variety of leather, fibre and other materials used for furniture upholstery, repairs and restoration. Berkovitch Furniture has 40+ years experience in upholstery, furniture repairs to residential & commercial clients with quality reupholstery across Melbourne. Clients from Bentleigh, Brighton, Caulfield, Malvern, Oakleigh and nearby.